After the closing of the western frontier, other photographers came into their primes at the turn of the century. Frank Rinehart (1862 – 1929) and Adolph F. Muhr (18?? 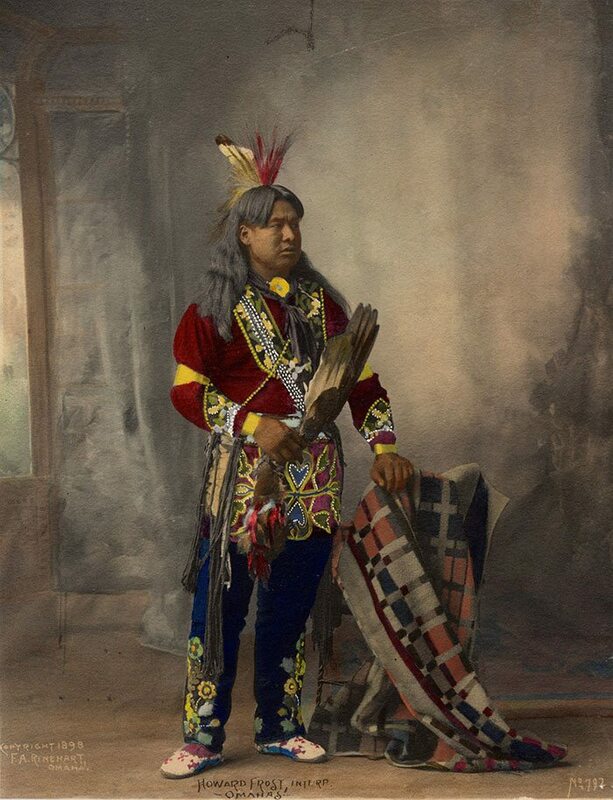 – 1913) became well known for a series of American Indian portraits at the Indian Congress of the Trans-Mississippi and International Exposition of Omaha, Nebraska in 1898. Muhr later collaborated with Edward S. Curtis (1868 – 1952). Curtis spent much of his life creating a monumental photographic publication, The North American Indian, which in twenty volumes presented a majestic overview of the American Indians of the United States, published between 1907 and 1930. American Indians were extensively photographed once they were established on reservations. 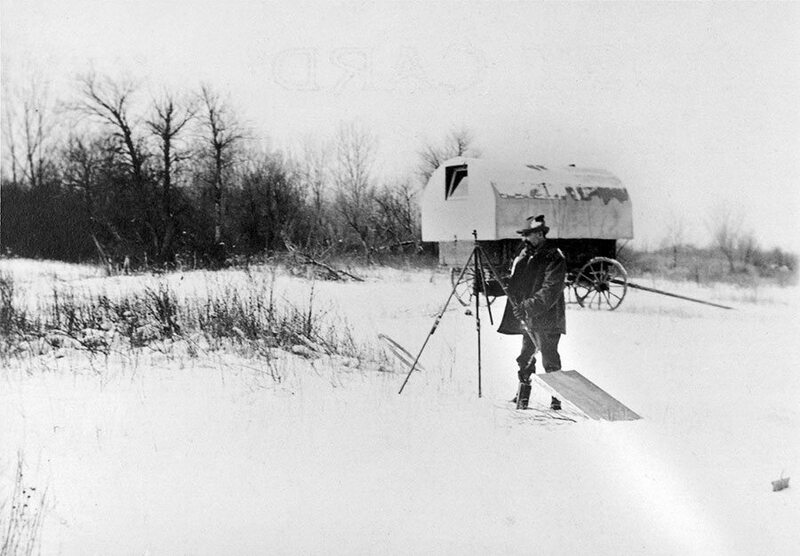 In southeast Montana, the Crow and Northern Cheyenne had several resident photographers. Among those on the Crow Reservation were Fred E. Miller (c. 1868 – c. 1936) and Richard Throssel (1882 – 1933), brothers-in-law who married sisters in the Crow Nation, and our library now has prints from each of these men. Baptist missionary Rev. William A. Petzoldt was active from c. 1903 – 1935 at Lodge Grass, and his pictographic work is represented in our holdings by his published postcards and an extensive set of lantern slides. 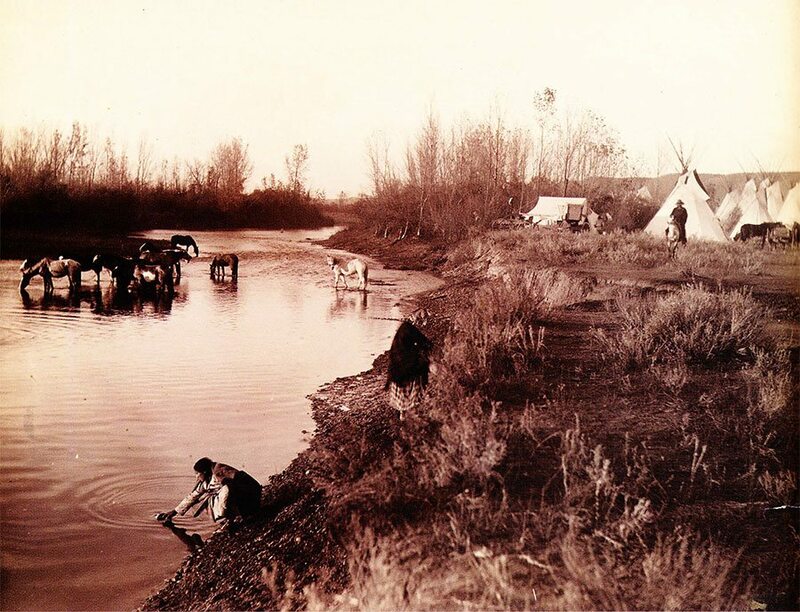 From 1901 – 1905, western artist Joseph Henry Sharp (1859 – 1953) resided with the Crow people, and examples of his photography are present within a larger research collection. Artist W.H.D. 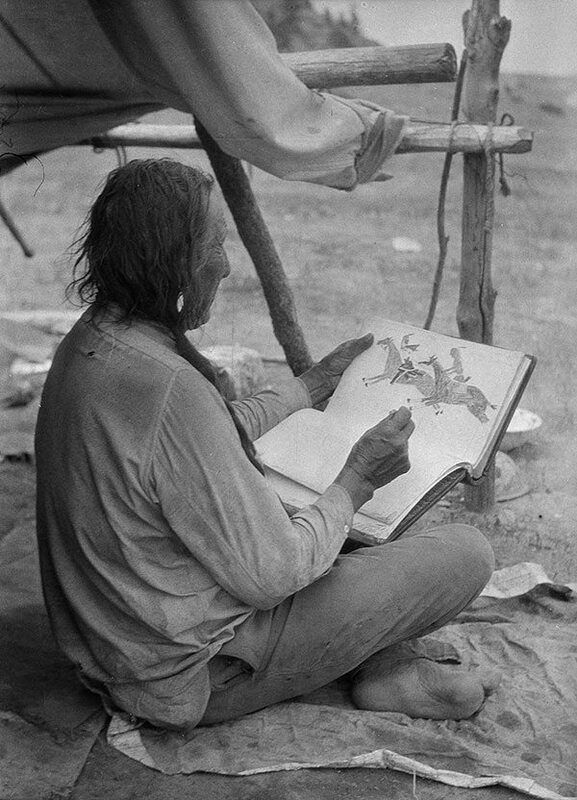 Koerner (1878 – 1938) also spent a few summers near the Crow Reservation in the 1920s, photographing a wide variety of western subjects in support of his artwork. Koerner’s art studio materials and library are part of the Buffalo Bill Center of the West’s collections, and form a major research collection on this artist. 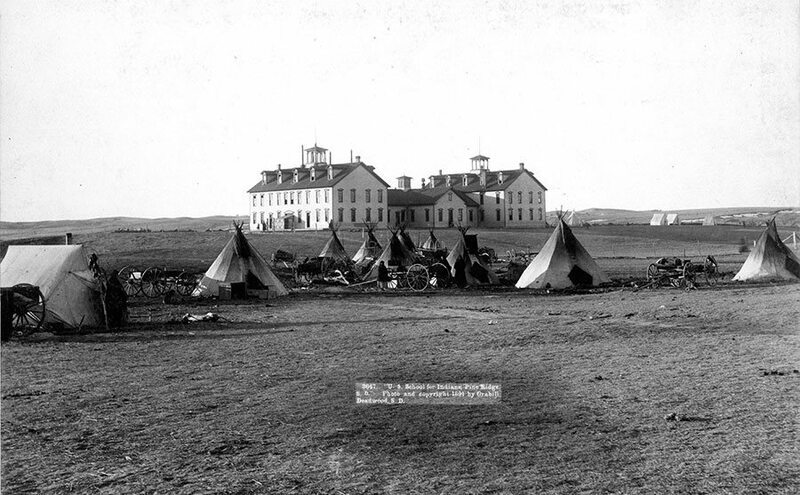 On the Northern Cheyenne Reservation, the physician and author Thomas B. Marquis (1869 – 1935) was an active photographer. Most of his images are of people and events of the Northern Cheyenne and Crow reservations. In 1999 – 2000, the McCracken Research Library acquired over 450 of his original nitrate negatives, a major addition to our holdings. 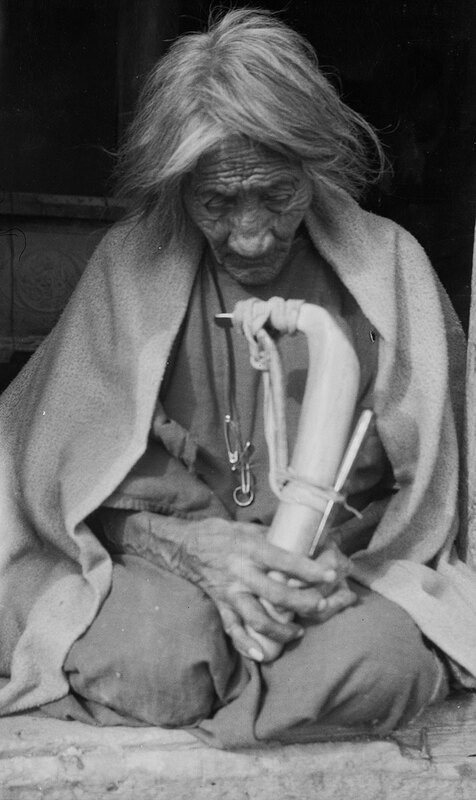 Other photographers of the Northern Cheyenne during the early twentieth century include Elizabeth Grinnell, wife of George Bird Grinnell, who accompanied her husband to conduct ethnological research. Her images, though not as refined as those of the professional photographers, are nonetheless of interest to Cheyenne historical researchers as they attempt to document traditional culture. Roland Reed (1864 – 1934) is known for his achievements in highly artistic and romantic compositions of American Indians. His series on the Montana Blackfeet peoples are perhaps his most well know and the best represented in our holdings of his works. 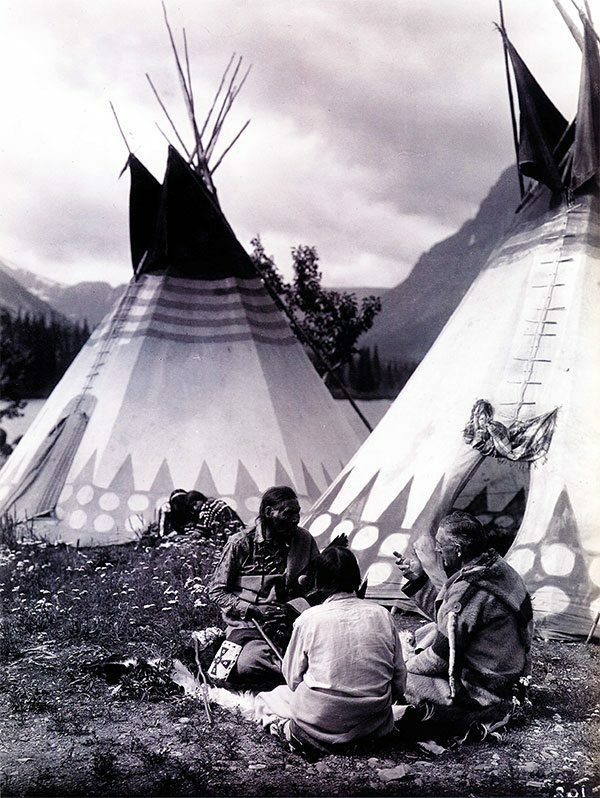 “Crow camp.” Fred E. Miller was a trained photographer living on the Crow Indian Reservation at the turn of the nineteenth century. This image is from one of his original prints. MS 211 Suzanne Thompson Adams Collection. 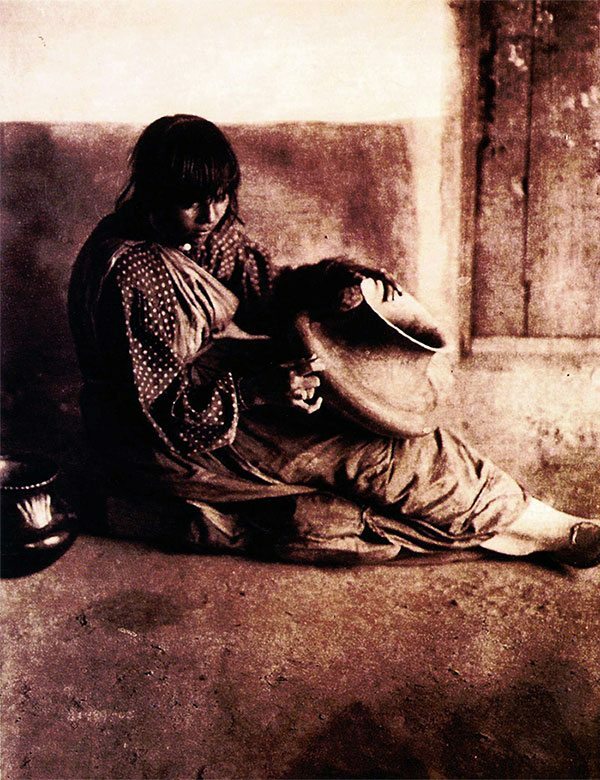 “The Potter – Santa Clara,” 1905, photogravure plate 602 from the 20-volume set of Edward S. Curtis’s The North American Indian, Cambridge, Massachusetts: University Press, 1907 – 1930. 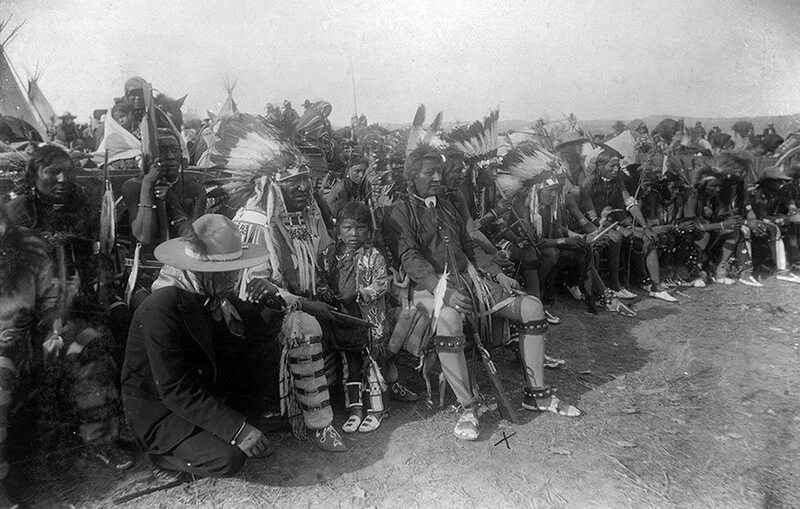 Curtis is perhaps the most famous photographer of American Indians of the early 20th century.